You realise you haven't written anything at all. All you’ve done is rewrite the same part of your book. When you try to write and edit at the same time, you're doing TWO different activities. The left-side of your brain that needs to write and get ideas out of your head and onto the blank page – your internal writer – shies away from your internal editor. The right-side of your brain that takes your first draft and turns it into something that shines – your internal editor – does its best work when you have a complete first draft. To engage both parts of the brain at once is to indulge in the myth of multi-tasking. So, allocate one portion of your day to writing (I like to wake up early) and another part for editing your work (I like the afternoons). Separating writing and editing into different activities for different times will help you write first drafts faster and finish writing your book. It's also what most writers do before they send their work to a professional for review. After spending weeks or months writing about a topic or story, the work becomes too hot to touch, let alone edit. When you finish your first draft, let it sit in your computer for a few days (or longer depending on the length of your work). Swim. Run. Meditate. Eat steak in an expensive restaurant. Take the dog for an overdue walk. Do something that has nothing to do with writing. Your ideas will cool and your memory fade. Later, when you open up that messy first draft, you’ll look at it and think ‘Oh yeah, I remember this’. Now, change the line spacing of your work to double-spaced, change the font to Courier New and the size to 12. Many professional journalists and sub-editors format their work this way because it’s easy on the eye and takes approximately one minute to read a page. This simplifies spotting errors and you’ll also have plenty of space for writing on your manuscript. Better, yet download the font Courier Prime. This revised version of the Courier font looks better on larger screens and has all the benefits of its older brother. Font choice aside, print out your work, sit down at a quiet table and read your first draft in one go. Confession: I feel guilty about the paper I use while editing, and I have great intentions to plant a small forest one day. Please don’t feel disheartened if your first read-through disappoints. The American editor Sol Stein likens the process of reviewing a first draft to performing triage on a patient, and that’s what you’re about to do with a red pen. To get the most out of this self-editing technique, strike through words with your pen, use arrows to indicate where you want to move your sentences and write in the spaces between each sentence. Your markups don’t have to make sense to anyone but you, and if you’re in doubt about a change, circle the sentence or word with your pen, and decide on this edit later. I sometimes read my work aloud and record myself using the voice memo app on my phone. Then, I listen back to this recording and mark up the manuscript. The act of saying something aloud helps identify problems in a way my eyes can’t. Now that you have a sense of your manuscript, you’re going to edit it in at least three different ways. During this round, concern yourself with how you’ve organised your book chapter as a whole rather than the finer points of grammar. For example, during this edit, I like to read the introduction and conclusion and see if they gel with each other. Does my introduction invoke curiosity in the reader? Do I invoke at least one of the five senses in each page of my work? Are there visual elements in my chapter? What’s the weakest part of this chapter? Now, can I cut it? Have I included metaphors or similes that, upon reflection, don’t stand up? Are each of the key paragraphs and sections in this chapter of an appropriate length? Have I suitably broken up each section in my book chapter? Do I need to reformat my work or source images? Am I happy with the tone of this chapter? Are there obvious gaps in my research or stories I need to flesh out? Like a general surveying the battlefield before marshalling his troops, it’s your job to take stock of your book chapter in relation to the rest of your book. Do I need to interview an additional source for the chapter? Does the central argument stand up? Have I told an emotional story that resonates with my readers? Can I strengthen my arguments? Have I brought an original insight to my work? Is the central idea or story specific to this chapter alone or do I elaborate on it elsewhere? Ideally, your book chapter should fall naturally alongside the preceding and proceeding chapters in your book and be of a similar length and have a title consistent with the tone of your book. It’s also sometimes pleasing to sign-post or reference different chapters in your book at this point too, i.e. “I'll talk more about this in Ch.5” and so on. While editing my book The Power of Creativity, I stepped back and looked at my book as a whole before dumping two unnecessary chapters and writing a new one. I was less concerned with pretty little sentences than I with arranging my book in a way that agreed with readers. Use the active voice: The post was edited by me. Oh dear. I hired an editor to fix my book. That’s better. Eliminate unnecessary words: look closely for unnecessary adverbs (there’s one) and pointless adjectives (there’s another). Eliminate clichés like your life depends on it. Simplify clunky language: Reading your work aloud helps. Attributing dialogue? Just say ‘said’: She gesticulates. He grimaces. We giggled. “That’s not how people talk,” your editor said. Look for moments of lazy writing: Do you make a living from your books? Or do you earn a living from your books? Avoid using the same word over and over and over…: Scrivener will help overused words. A thesaurus is useful too. Kill your mixed metaphors: Your readers are watching you like you’re a hawk. Avoid complicated language because your exasperated readers won’t have the inclination to ruminate on your warblings. Use suitable formatting: Put key words in italics and bold and break things up with lists like this. Review your punctuation: Unless you’re tweeting like Donald Trump, those exclamation marks have got to go. And those modifiers have to go: You possibly include them because they simply sound good. And your reader's reaction? Really?! Check your spelling and grammar: Them thar ttypos keep me up at night. In doubt? Brevity is clarity. Cut 10% of your work. Write compelling sub-headings: Please, don’t begin your work with a boring “introduction” and end it with a stereotypical “conclusion”. Oh, and don’t forget to run the Alien from Mars test. How Many Rounds of Editing Is Enough? You may write, review, edit and rewrite your book many times. Or you may go through this cycle once. Take it sentence by sentence, paragraph by paragraph and chapter by chapter. 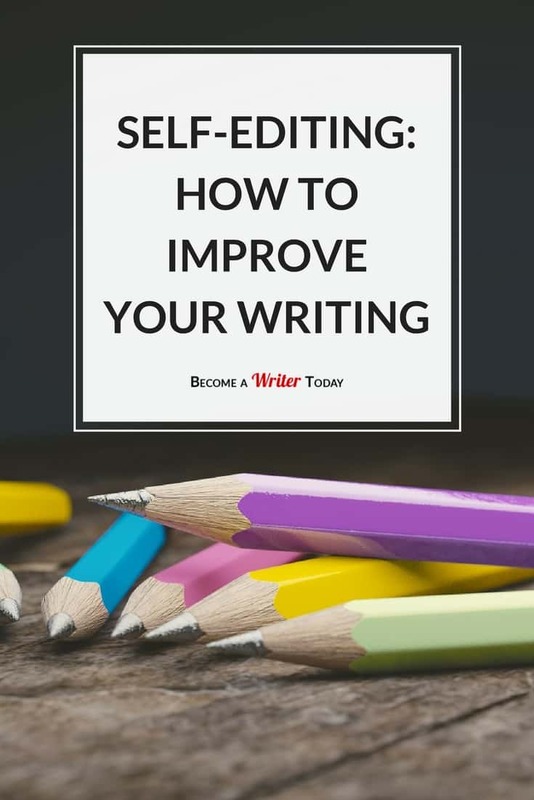 As you self-edit and write (but not at the same time! ), your book will teach you how to finish it. While working on your second or third draft, enlist the help of a family member, friend and ask them to provide frank feedback. Later on, enlist a professional editor (and proofreader) and ask them to help you turn your self-edited draft into something you’re proud to publish. That said, some writers rework their work up until it goes to the printing press, and thanks to self-publishing, you can even rewrite your work after publication. But please, don’t get stuck on a merry-go-round of reworking your book without an end in sight. Diminishing returns will set in. Instead, accept that while your work will never be perfect, it’s as good as it can be. And that’s all your readers can ask. Grammarly – this is my proofreading and grammar checker application of choice. It costs USD29.95 per month. After the Deadline is a somewhat less powerful but still useful alternative to Grammarly. It’s free. Autocrit is a critiquing tool for fiction writers. It costs USD29 per month. Hemingway Editor – this tool will help you figure out which words to cut and which sentences to shorten. It’s free. The Elements of Style, Fourth Edition by William Strunk JR. and E.B.White. Just the right tips I needed. Thanks Bryan! I’ve been using Grammarly and it definitely helps a lot. Trying out Hemingway now. Thanks for sharing! ” She gesticulates. He grimaces. We giggled. “That’s not how people talk,” your editor said.” One of my biggest issues with writing. I always feel like I use too much “say”, but when I edit my writing with gesticulate/grimace/giggle it sounds even worse. I have to stick to “say”. Also would like to say that I love Hemingway Editor and highly recommend it. It’s great! Thanks for wonderful tips, Bryan! Yes, Hemingway is good, I’m also look at ProWritingAid. Editing is the bane of my existence. I hate it, but I know it’s necessary. I use Grammarly too and it has helped a great deal. The human brain is the best editor 🙂 A good writer follows his talent and intuition but a professional one uses some extra tools. Hemingway, Autocrit and After the Deadline are MUST for writers and bloggers, these tools save time and money. There are plenty of excellent editing tools like Unplag or Smart Edit (by the way, the former service provides a brilliant online free plagiarism checker that runs fast). Check them out, Bryan, I bet you won’t be disappointed! Wow! This is one of the best post a newbie writer can read. Thank you for sharing these great tips. And I agree that we need use different word and not repeat the same. Yes, I have written and rewritten stuff, a lot. Although I say I am a writer, I do not feel like one. I am always afraid I would make a mistake, being a non-native English speaker I fear being judged for my mistakes. And this fear takes away all the creativity and passion that I have for storytelling. The Social Media judge and jury is one of the toughest things writers have to face. I think separating the two activities of writing and editing at different times might work for me. I will have to give it a chance. Yes, it’s hard to separate the two but it’s totally worth it! Creating a good manuscript is really hard if you do not have any idea what you are writing it. You have to be equipped with the knowledge of what the topic is all about. And sometimes you have to get those creative juice flowing but being inspired and sometimes there are online help to help ease some of your problems when it comes to writing. Yeah, it’s a good idea to plan your writing in advance, particularly if it’s non-fiction. Brilliant tips, Bryan! I especially like those question that should have been asked after completion of the writing process. This a really nice way to make no doubt the result is good. To make certain the article is good, people often use different online services. Unfortunately, you didn’t mention any plagiarism checker, so could you suggest which one do you use?